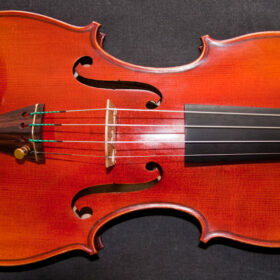 A beautiful crafted new violin, with a distinguished rich, warm and clear tone. 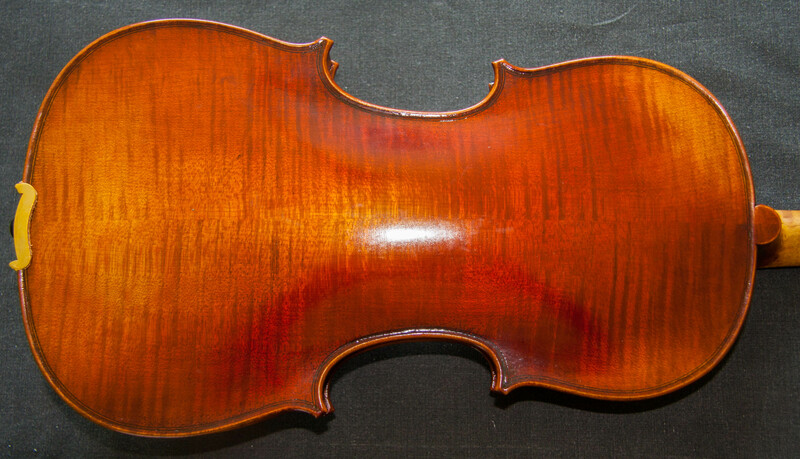 Finished in a lustrous Italian style antique varnish with a hint of red. 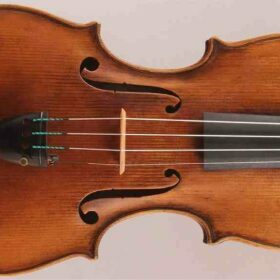 Carefully modelled on the famous ‘Cremonese’ Antonio Stradivari violin of 1715 which resides in the Museo del Violino in Cremona, Italy. 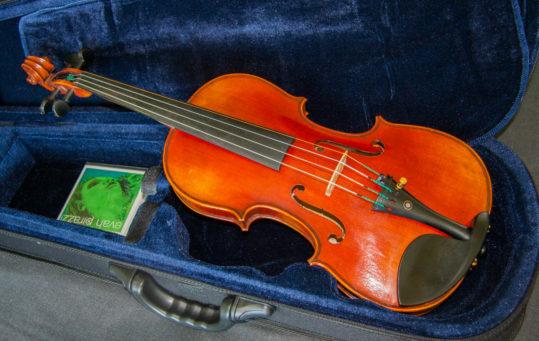 SKU: TAS20002 Categories: New Violins, Violins. 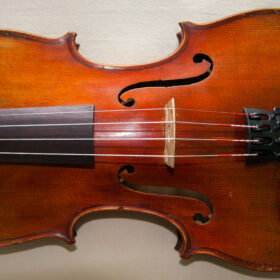 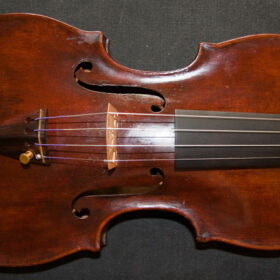 Tags: Antonio Stradivari, Cremonese, Cremonese Stradivarius, new violin, Stradivarius, Stradivarius model, violin. 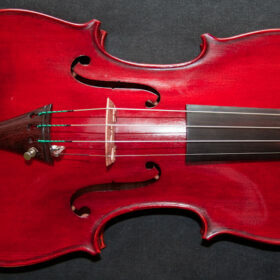 This is a beautiful violin made with high quality spruce and maple, which has been air dried for over 12 years, and finished in a lightly antiqued Italian style varnish, with a reddish lustre. 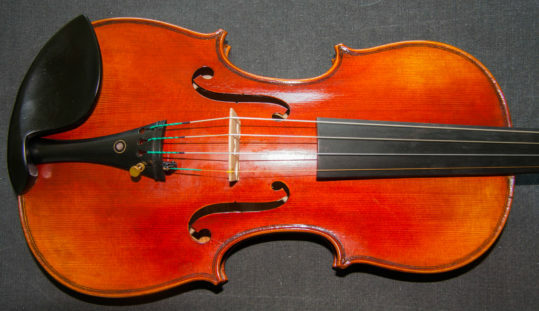 The sound is already remarkably open for a new violin and will only improve over the coming months and years as it is played in. 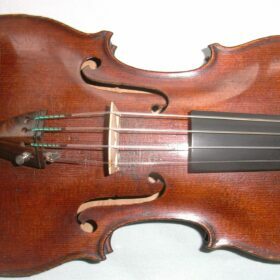 The tone and projection of a violin is critically dependant on both correct thickness on the plates (belly and back) of the violin. 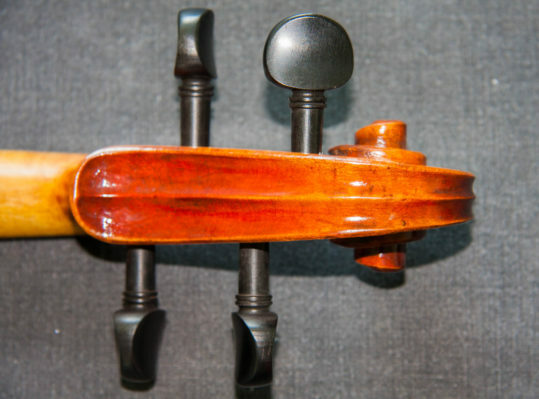 Too thick and they will be stronger but lack the flexibility to vibrate freely. 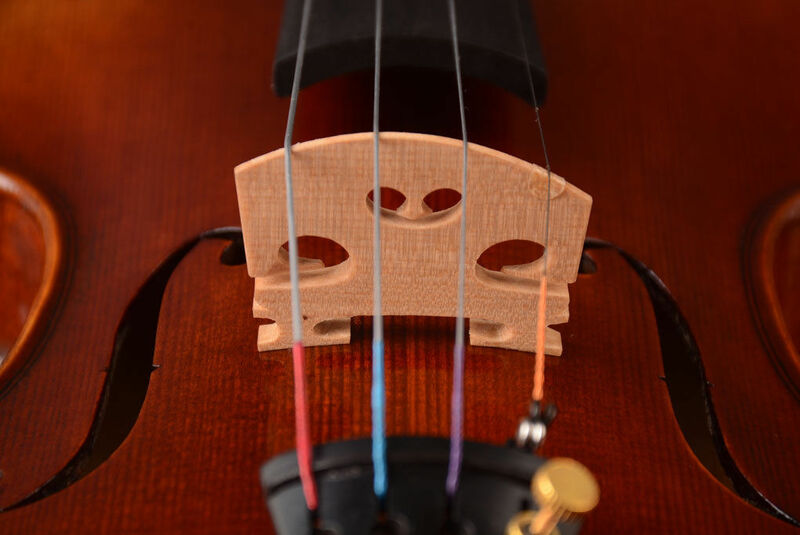 Too thin and the violin will be fragile under the immense pressure of the strings and although it may initially appear to have a good sound, over the course of a couple of years it will lose its tone. Our makers have carefully studied many highest quality instruments, especially the very best 17th century Cremonese (Stradivari, Guarneri del Gesu, Amati), and have developed a careful understanding of the correct plate thickness and distribution to give optimal results over the long term. 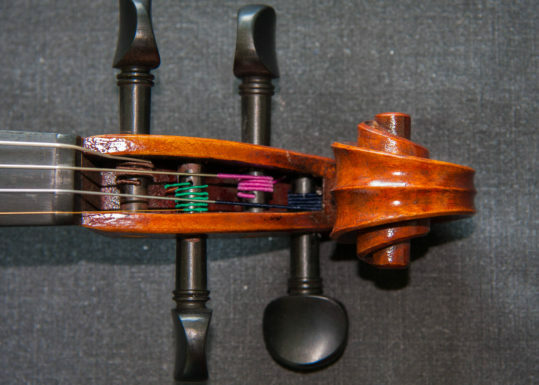 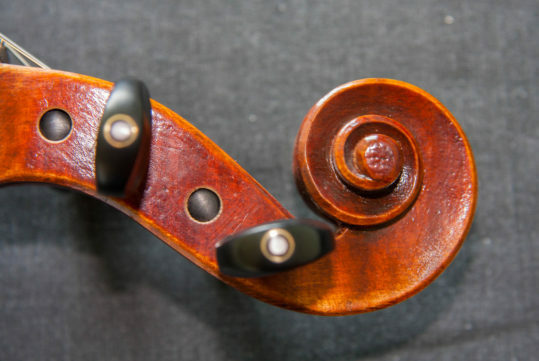 The plates of these violins are on average around 5% thicker than that commonly seen on many new violins, and their tone will only ever improve with the ripening of time. 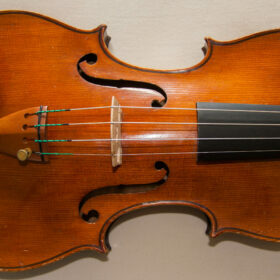 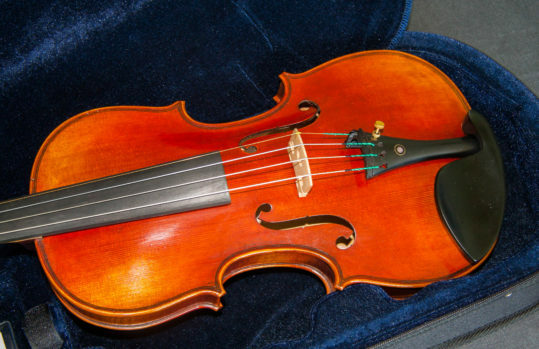 This violin comes ready fitted with Evah Pirazzi strings for exceptional performance.